DW3TRZ, W7UUU, KB4QAA and 4 others like this. DW3TRZ, W7UUU, W3ATV and 1 other person like this. TS430S has since been replaced with a K3. Well, that looks nice and cozy. Hello forum members.... new to the hobby.. 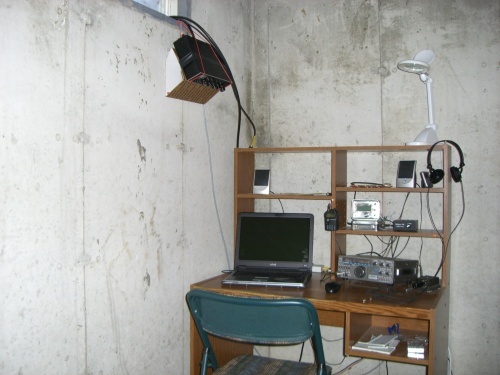 Here is my brand new station.......More can also be seen on the QRZ page for KC1JZR including bio and a photo of moi with t View attachment 526090 he gear... Enjoy! I LIKE it! A new ham with classic old radios prominently on the lower level. Thanks for your very nice compliment WD4IGX! I have learned that there were two varients in the knob materials... On my Apache, they are chrome and very heavy, especially that vfo knob! I was having fun at work with that one, asking co-workers to hold out their hands and dropping into them. None could believe it was an actual knob from a radio! W3ATV and KC1JZR like this. Now THAT, is cute !, and extremely neat and compact! Congrats ! DW3TRZ and W3ATV like this.